Hello, my name is ManE (pronounced man ee) and I am a little knitted man. I am 50mm tall and I am so old I have lost count! I have spent all my life living with Zoë. I write this blog so I can share adventures with you all. I live with Zoë and Pauly and they often join me on my adventures so you might see them in my posts. I am interested in many things, especially food, cars, and visiting new places. 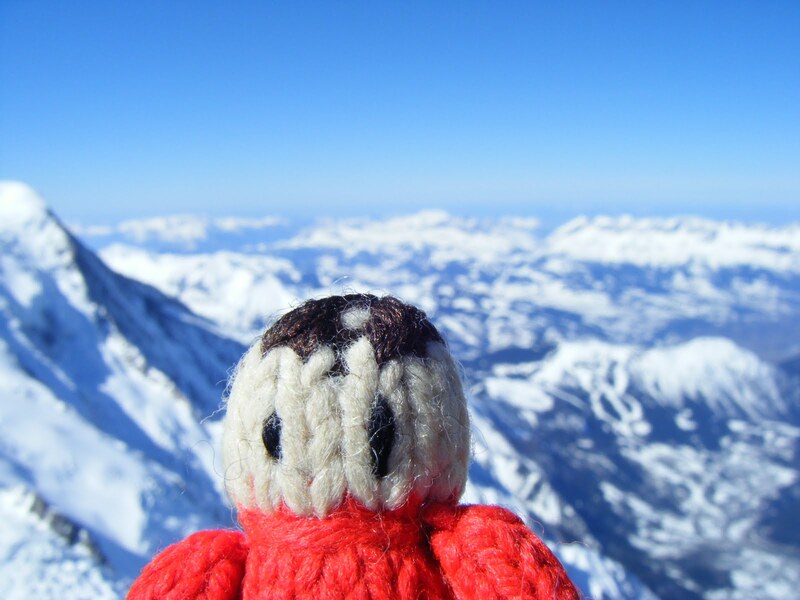 This is me at the top of the Aiguille du Midi, during our holiday to Chamonix in the French Alps back in 2010.